With Christmas basically three Friday’s away, if you haven’t started shopping-well I recommend it! I feel like every year people are starting earlier and it’s rough finding the things you are looking for. That being said, here are the hottest toys for my little humans right now! These are the items that my kids just can’t get enough of this year and will have you being the best parent EVER! So take a look below and at the bottom you will find all the details you need to pick your goodies up today and start checking off that list! 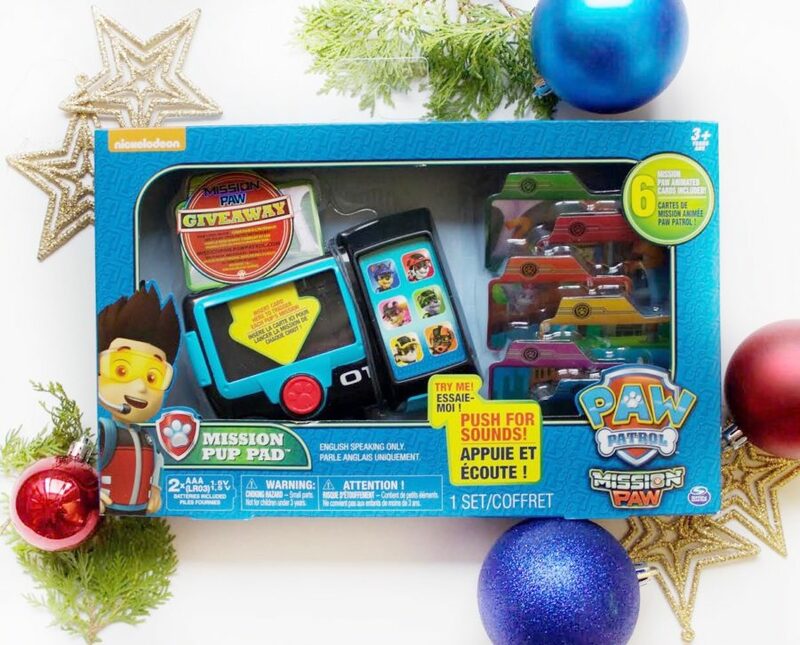 Okay could the Paw Patrol Mission Pup Pad be ANY CUTER?! It will make your little ones feel like they are the ones saving the day and that they are solving a mission in an episode of Paw Patrol! It includes 6 animated mission cards and will have them begging you to play with it daily! LeapFrog Count Along Register- I was looking for a little register for a while and I was so happy I found it! It’s comes with 20 check out items your kids “scan” in and coins to put into the register all while the register is educating them on how much the little eggs cost and how many “coins” to put in! 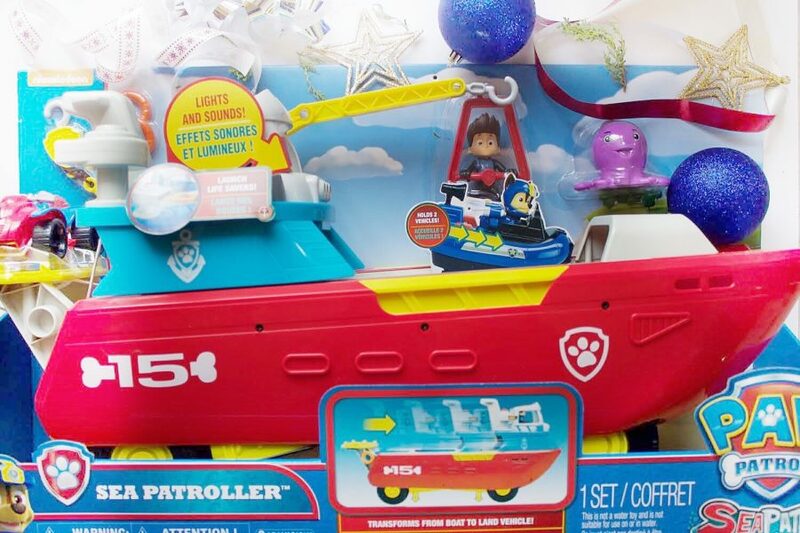 Paw Patrol Sea Patrol Transforming Vehicle with Lights and Sounds- For me, basically I can’t wait for Mason to see what Santa bought him and the perfect addition to our Paw Patrol playroom! It fits all the Paw Patrol characters on board (sold separately, which I have and will be apart of the playroom post next month). What’s nice is to finally have something different, a boat and something that all the kids will know because it’s such a big part of the show now, I love how Spin Master took this take on this toy! Something that’s so important to me while shopping for gifts is things that the boys can use their imagination! 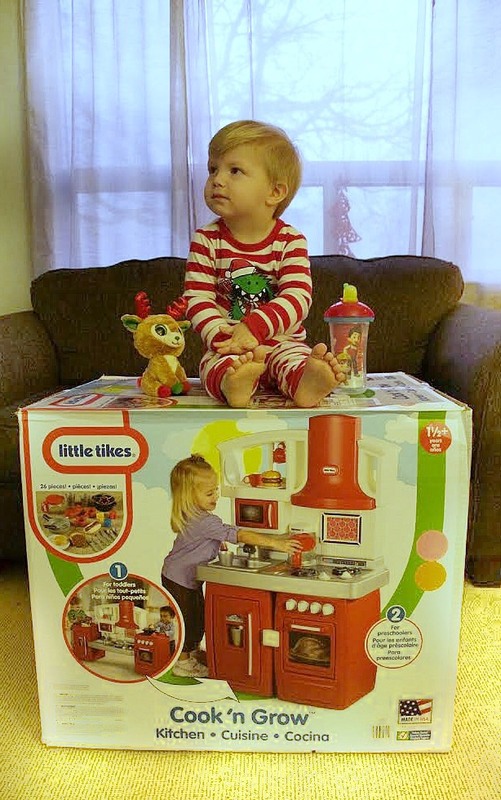 Mason has this thing for baking and washing dishes so this Little Tikes Cook ‘n Grow Kitchen was a no brainer! Not only does this kitchen alternate to two different stages to grow with your kids it comes with all the bells in whistles. When I moved into my own place at 18 I didn’t even have a microwave but these little boys do LOL! 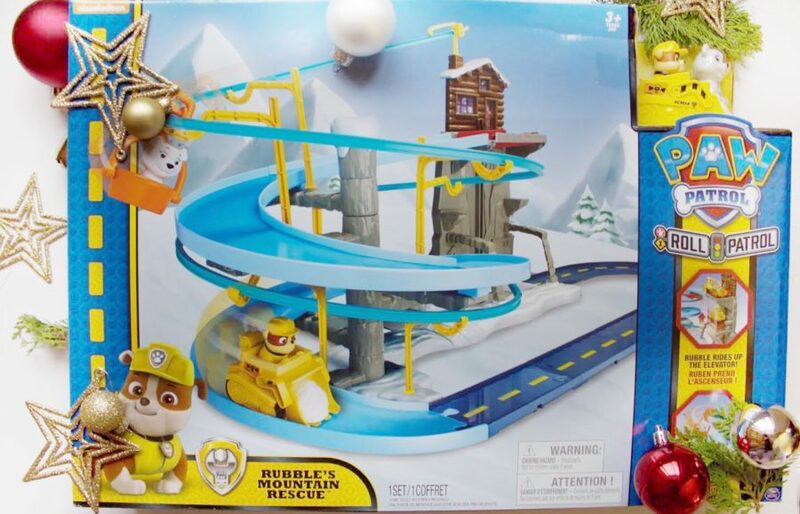 Paw Patrol Roll Patrol- Rubbles Mountain Rescue Track Set! I know all you parents out there, “another track and I’ll have pieces lying all over my house” well no, the set stays together perfectly and is actually durable. And you can watch your little ones play with Rubble while trying to save the baby polar bear! Alright parents you will thank me later but people underestimate the power of the Xbox! 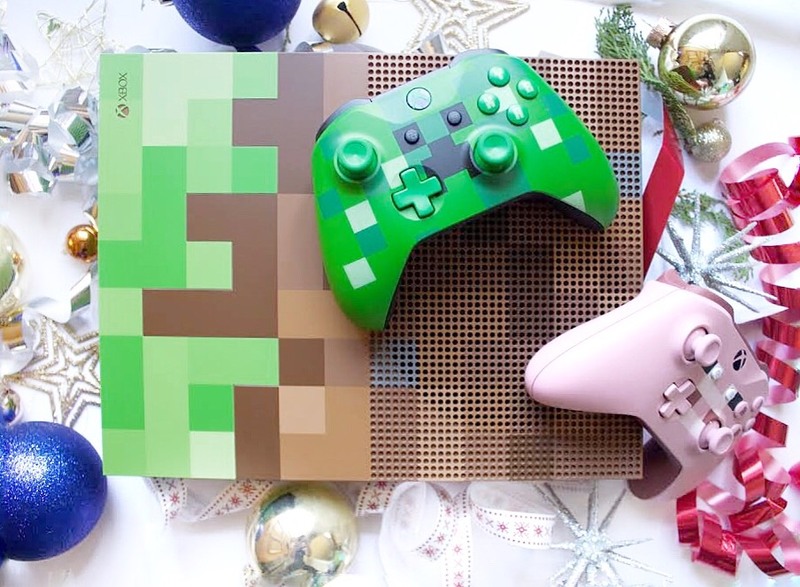 The Xbox One S (we have the minecraft edition) is the PERFECT addition to your household. And to be honest Mason plays the Zoo and DisneyLand game on there, while Luke plays NHL and I watch my Netflix! It keeps everyone in the house happy and entertained! Also parents there are so many parental controls now on this thing you won’t have to be worried again! The kids will definitely be on best behaviour for the next year because it will be hard to beat that!! 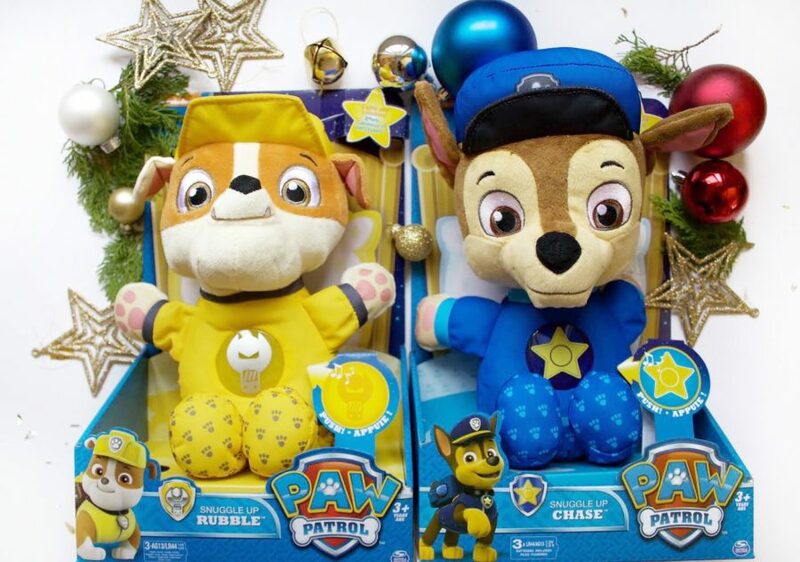 Paw Patrol Snuggle Up Pups!! I chose Rubble for Asher and Chase for Mason! I’m so happy I found something that I won’t step on and have to scream out in pain while wondering where they learned that word from! It’s not only your kids new bedtime best friend, they sing lullabies and their tummy lights up and acts as a night light to keep your kids comfortable in the dark! 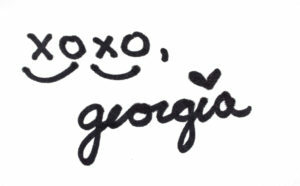 This is just too cute! So here are seven of my top picks and a lot of people have been wondering about something special to do with kids, tradition wise! Well I have that coming on the blog next week and it involves Christmas Eve, books, pjs, popcorn and cuddles while watching a great movie! Stay Tuned!! Here is the list of goodies from Mason and Asher’s Gift Guide, the prices and WHERE TO BUY everything <3 Merry Christmas from my little munchkins to yours. The best way to get an honest answer is to have children review it! They are honest about EVERYTHING and they know their opinion is the right one. I bet they had a blast testing out all these cool toys for the holiday season. Thanks for sharing! I don’t have any kiddos and my nieces and nephews are much older, but these are some great tip and I’m happy to forward! Thank you for sharing! What a super helpful list! I have a couple of little ones on mine and these are great ideas of what to get for them! I was just thinking I needed some ideas of what to get my niece and nephew! I’m glad I read this post and thanks for sharing. They love Paw Patrol! OHHH these are all perfect for my niece! Thank you for doing the research for us! what a great gift guide! these all look lovely – and I am sure any kids would love gift like that! These are all great Christmas gift ideas! Perfect timing because I have a ton of nieces and nephews to shop for! Such great ideas! I’ve been stuck at what to get for some of the kids in the family and this list is just perfect. Thank you! This gift guide is perfect!! I’m definitely going to look at getting some of these for my niece — I think she will love that little register!! She’s currently into Bubble Guppies, but I think she’d really love Paw Patrol so those would be great, too! Thanks for sharing!! Oh boy my toddler LOVES Paw Patrol! These are some great gift ideas. One of their all-time favorite toys is their play kitchen, so that’s always a solid recommendation! What a great list!! I will for sure go through and buy some stuff for my nephew and nieces. 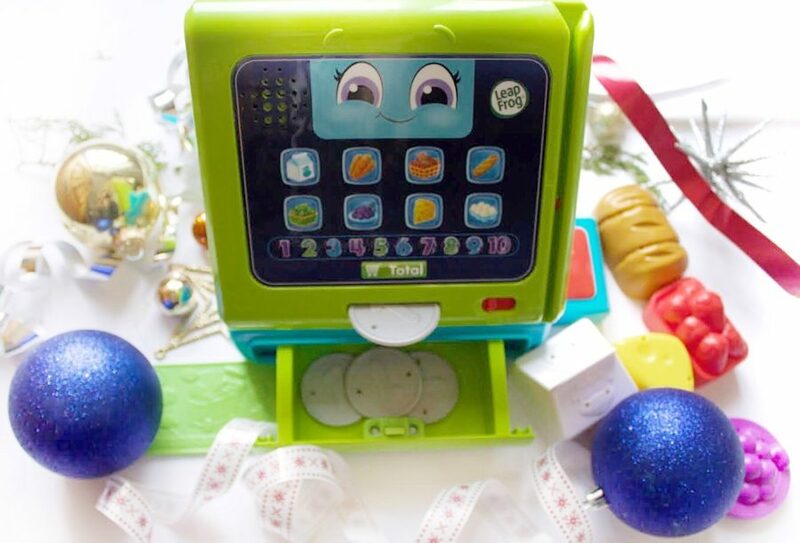 This is a great kid gift guide! So many cute and good ideas! I’m absolutely in love with your gift guide. So much fun for the kids! !